The team at BUG Termite & Pest Control Co. looks forward to providing professional pest control in Venice, FL. Thank you for visiting our website. The team at Bug Termite & Pest Control Co. looks forward to providing southwest florida with professional pest control. Call to day to schedule a free consultation and estimate. We are located off Corporation Way in the Oakwood Business Park in Venice. If you need to contact us after normal business hours, please use the contact form below. 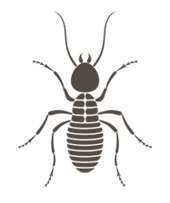 BUG Termite & Pest Control Co.